20 BCW Pro 2-Pocket 5 x 7 Photo Album Pages Binder Ultra Sheets - Ship Now! 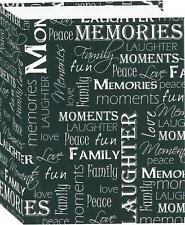 Fashion Frame Silver Plated Photo Album Holds 100 Photos 3 1/2" × 5" or 4" × 6"
This inexpensive photo album, slide in picture type of photo album, will save your pictures and will save your money. Smallest enough to carry with you, to show off those wonderful picture you are pride of. 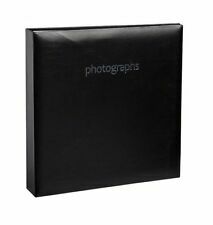 The BCW 6x8 Photo Sleeves are an acid free, archival quality product made of clear soft 2 mil polypropylene. - Clear on both sides. - Designed to fit processed photographs. We are a full-line Master Distributor of Collecting Supplies. Itoya IA-12-18 Art Profolio Original Storage Display Book 18 x 24". Just slide your artwork into the crystal clear polypropylene "pocket" pages for a highly organized and ever lasting artistic presentation. Album color: Blue, Green, Pink. Detail about the album 3 other colors available: Brown, Blue, White. Made of high impact rigid PVC. Single Cards - Baseball Single Cards - Basketball Single Cards - Football Single Cards - Hockey Single Cards - Non-Sports Single Cards - Soccer Single Cards - UFC / Wrestling. • Quick load from top - Holds Vertical 4x6. • Made in USA. The PVC used in CBG Toploads contain no plasticizers or stearates. Our fees, service and organization is top quality. - Crystal clear. This does not apply if you are purchasing our custom glass display cases (see below) . Fits 8 professional 4.5″ x 3.5″ photos with a matte black finish. This folio has the words “Cady & Cady Studios – Art from the Heart” embossed on the front cover. (#352606245232). With unmatched value and compact 12-page design, the Art Profolio EXPO is the perfect leave behind presentation book for every professional artist and photographer. Features the same pH-neutral, PVC-free, polypropylene construction and quality crafted, acid-free black mounting paper as all Art Profolio brand books. Great for photographs and film. Top-loading polypropylene sheets will not stick to copier toner and is also ideal for storing artwork and memory projects. Keeps your materials secure and organized. Durable polypropylene cover resists moisture and dust. This product features high clarity and top loading pockets with strong welds. 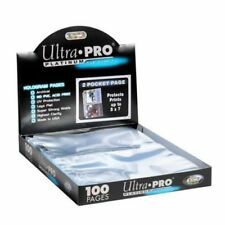 Ultra Pro Pro 3-Pocket pages fit all standard 3 ring binders/albums. Pages are clear on both sides. Pages fit standard 3 ring binders. The PVC used in BCW Toploads contains no plasticizers or stearates. - Crystal clear. - Made of high impact rigid PVC. We are a full-line Master Distributor of Collecting Supplies. Pioneer Classic 3 Ring Photo Album, Holds 504 4x6" Photos, 3 Per Page, Color: Burgund. 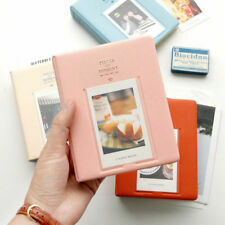 Pioneer Photo Albums Pocket 3-Ring Binder. The PVC used in BCW Toploads contain no plasticizers or stearates. 4x6 - TOPLOAD HOLDER. Open on the short side. The PVC used in BCW Toploads contains no plasticizers or stearates. - Made of high impact rigid PVC. - Crystal clear. We won't do it. US territories also o.k. The PVC used in BCW Toploads contain no plasticizers or stearates. - Made of high impact rigid PVC. - Crystal clear. - Inside 8 1/2 x 11 x 1/32. US territories also o.k. 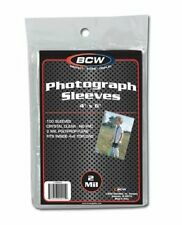 The BCW 5x7 Photo Sleeves are an acid free, archival quality product made of crystal clear polypropylene. Use with the BCW 5x7 Photo Topload Holder. Crystal clear. This way, we assure that we have settled any and all problems that may occur. Perfect if you need an inexpensive mini album brag book for 5x7 size pictures. Holds one 5 x 7 photo per page. Archival, acid free, photo safe. Die cut heat set covers. Capacity: 24 photos. Trending at $17.93eBay determines this price through a machine learned model of the product's sale prices within the last 90 days. The BCW 11x17 - Print Bags are an acid free, archival quality product made of crystal clear polypropylene. These bags have a reusable adhesive tape strip on the body of the bag so the collector can fold the top flap over and lock in the artwork. Ultra Pro Toploads contain no plasticizers or stearates. Single Cards - Baseball Single Cards - Basketball Single Cards - Football Single Cards - Hockey Single Cards - Non-Sports Single Cards - Soccer Single Cards - UFC / Wrestling. This product features high clarity and strong welds. 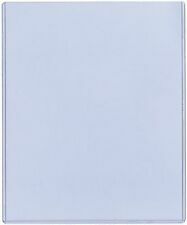 BCW Pro 2-Pocket pages fit all standard 3-ring binders and albums. - Made in USA. Trending at $7.65eBay determines this price through a machine learned model of the product's sale prices within the last 90 days.